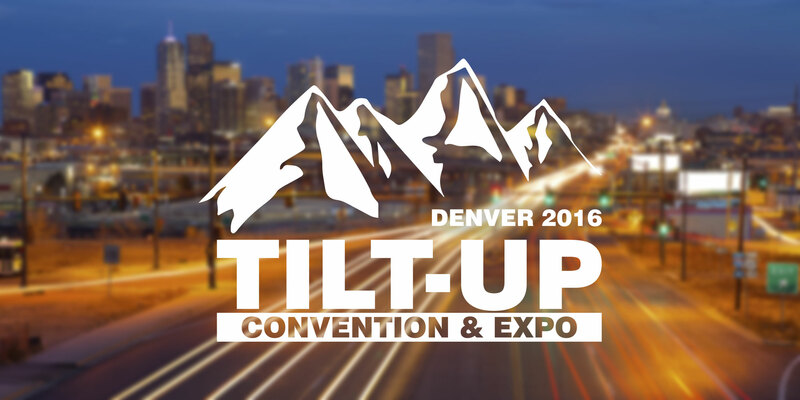 The Tilt-Up Concrete Association (TCA) announces open registration and an education preview for the 2016 Tilt-Up Convention and Expo in Denver, CO on Oct. 10-12, 2016. Registration details and additional information can be found at www.tilt-up.org/events. The 2016 Tilt-Up Convention and Expo, presented by HD Supply Construction & Industrial White Cap and Meadow Burke, brings together contractors, developers, suppliers, manufacturers, distributors, educators, architects and engineers who share an interest in the tilt-up concrete construction industry. The three-day event features tilt-up exhibits, education, demonstrations, tours, awards, certification opportunities and networking. As always, this year’s event is designed to provide attendees with valuable education that can be applied directly to their next tilt-up job. Post-event surveys show 92% of attendees estimate they will save their company or clients at least $2,000 on their next project as a direct result of their attendance. 35% of respondents say they will save at least $5,000 and 17% say they will save more than $10,000 on their next project alone. Most importantly, well over 90% of attendees say they learned something at convention that will make their jobsite, or that of their client, safer. A preview of selected seminars and topics is below. 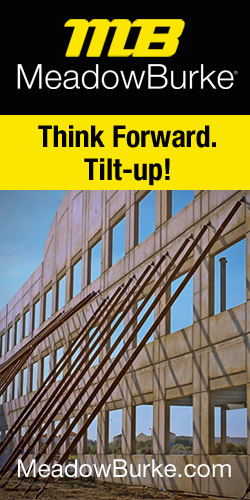 Additional seminars focusing on tilt-up construction and design are being planned. 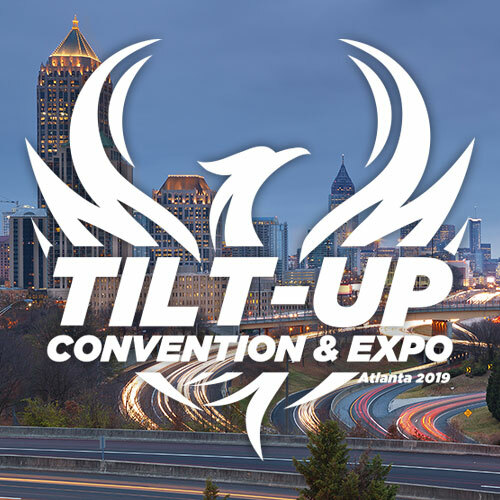 Details will be added to the convention website (www.tilt-up.org/events) once they are finalized. In 2014, Stream developed two class A tilt-wall office buildings in Houston that total 350,000-square-feet. The first to deliver was “The Offices at Greenhouse,” a five-story, 200,000-square-foot tilt wall structure in Houston’s Energy Corridor. The other was Texas’ first six-story tilt wall office building totaling 150,000–square-feet in the northern Houston community, The Woodlands. Although both are beautiful buildings with high-end finishes, two story lobbies, extensive landscaping and LEED certification, their timing could not have been worse. Both buildings broke ground in the summer of 2013 when the price of oil was $105 per barrel. After about 14 months of construction, the buildings were complete in the fourth quarter of 2014 when the price of oil had dropped to $45 per barrel. Houston is the “Energy Capital of the World” and many of the major office tenants are directly tied to the price of oil. Now that it’s been about two years since they were finished, how are they performing? Was the decision to construct a class A value office building using the tilt wall construction methodology the right decision? Lastly, how are the buildings that were built with traditional construction methods performing against Stream’s? Attendees can expect to explore the current state of the construction workforce and unpack a working example on leveraging the educational system, creating community programs, and taking an inclusive approach to diversity and workforce development to create a hirable supply for the demand in the workforce, both in the trades and professional careers alike. One in 11 industrial buildings in central Denver is occupied by marijuana; totaling nearly 3.7 million-square-feet of space. The legalization of marijuana was a major catalyst to the recovery of Denver’s industrial market. Rental rates are at an all-time high with vacancy at record lows leaving tenants struggling to find space. This has created one of nation’s hottest industrial markets. Hear the story of how it all began and the impact this new industry is having on mainstream businesses. INOVA, Colorado’s first five-story tilt-up building, set a new standard for the suburban class A office market in Denver. The tilt-up design offered efficient floor plates, expansive windows, LEED Silver Certification and highly competitive lease rates. This led to the building being 100% leased prior to completion of construction and strong market demand for the continuation of tilt-up design with INOVA II. Hear the story of INOVA from conception to tenant occupation and its impact on the market.